The most chaotic season of the year is quickly approaching, and it’s more important than ever to prepare your call center staff for the impending holiday craziness. Beyond having helpful, well-trained agents at the ready, it’s smart to adopt technology to handle inquiries and get agents online faster. Zingtree interactive decision trees and call center scripts are one way to avoid the headache of customer service disarray during the peak periods of November and December. With customers self-solving using customized decision trees and agents being guided with interactive scripts, your support team will have a happy holiday season instead of a hectic one. Happy customers lead to happy agent staff, and vice versa. Zingtree is an amazing tool for any customer support team, as it allows you to create custom troubleshooters to take customers, or agents, through the support flow step-by-step. Organizations that deploy Zingtree troubleshooters have seen a 20% reduction in support costs on average. Customers are gently guided to answers, and, if a problem can’t be solved, your agents receive background information on the problem, saving time and resources. With no programming required, Zingtree decision trees and troubleshooters make it easy to build each step of the process so no important information is left behind. With design customization and plugins to fit your integration needs, Zingtree can help you ramp up your support this season. High-tech solutions can also empower your live support agents to be efficient and effective when communicating with customers. Agent Scripting is a robust tool for any company offering chat or phone support. Scripts are easy to build using Zingtree’s tools, you’ll effectively reduce time and resources spent on holiday support. 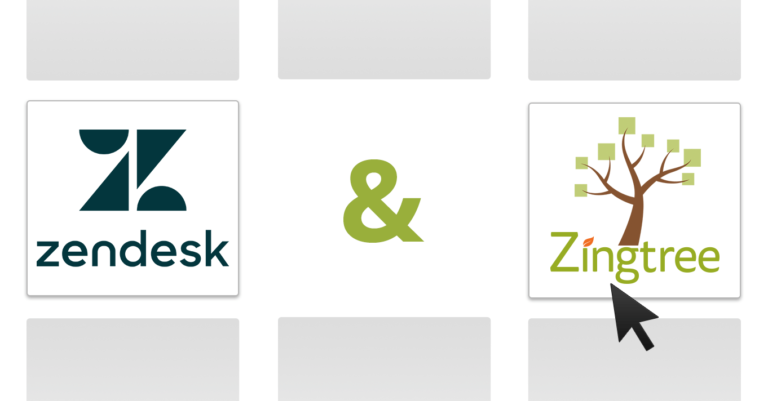 With powerful tracking and analytics, Zingtree agent scripts help companies collect useful data that can even be used to prepare for the holidays next year – we even have a direct integration with popular customer service platform, Zendesk! Remember – the holidays can be stressful, but with proper preparation for your call centers and support staff, you’ll make the load just a little bit lighter, and the season just a little more jolly! Visit Zingtree.com to get started free for 30 days, and see how Zingtree will save you time and money. This article was originally published in November 2015 and has been updated for accuracy.